DOMAIN KNOWLEDGE – Conflict Research Group, Intl. 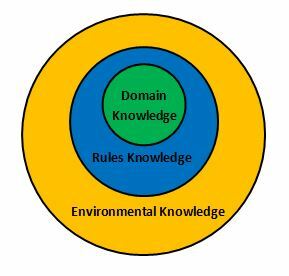 Domain Knowledge (DK) is having the knowledge and skills to deal with/operate in the specific Environment and to be capable of protecting yourself and others (within reason). It is here that understanding criminal behavior is critical. A major portion of DK is having both EK and RK. It takes EK to derive RK. It takes RK to develop the competency of DK. DK is what most people think of as “how to do self-defense”. What they don’t “see” is the underlying knowledge of when to do something, what to do, why to do it, where to do it, and against whom, or not against whom, and when it works, when it doesn’t, and what to do next.